Hi! 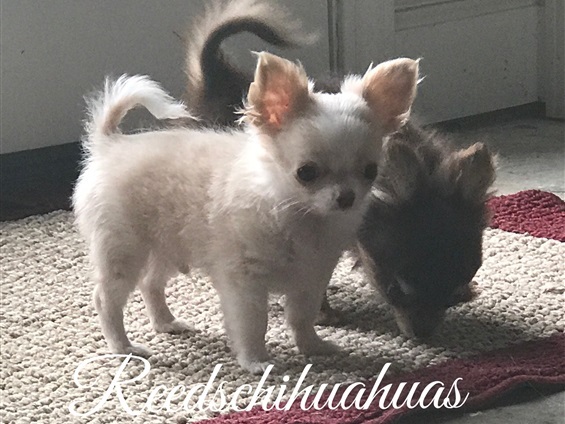 Welcome to Reed's Chihuahuas! 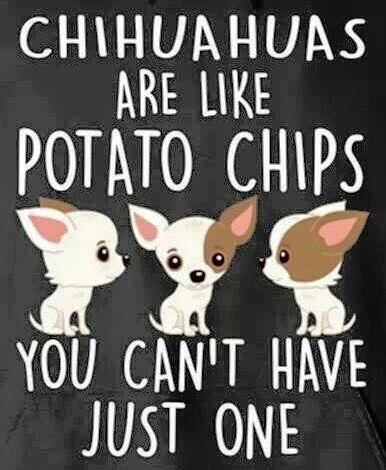 We are a family of 5 with a house full of little chihuahuas. My name is Sheri. I am the one you will email and talk to about these babies. I am a wife, a mom, and a fulltime labor and delivery and baby nurse. I take care of laboring moms and babies at work and at home! 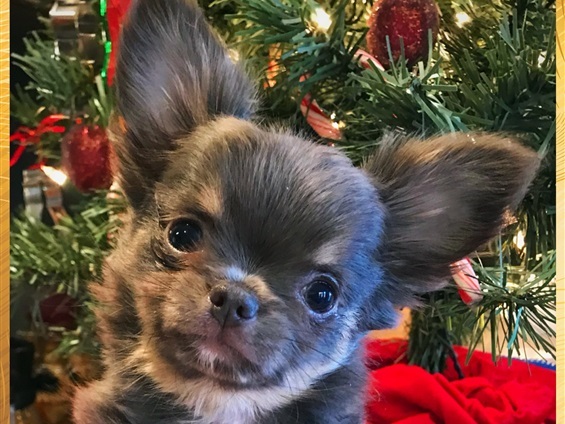 I got into breeding long haired chihuahuas 10 years ago, but my experience as a breeder extends previously to many years of breeding poodles. 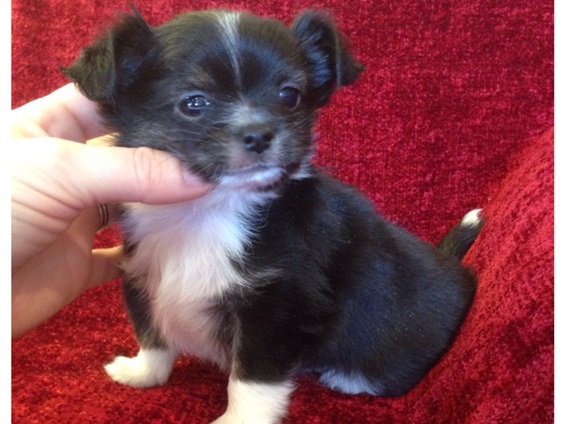 After our last poodle died of old age, my 12 year old daughter begged me to get a chihuahua. She was really into the Legally Blonde movies at that time. 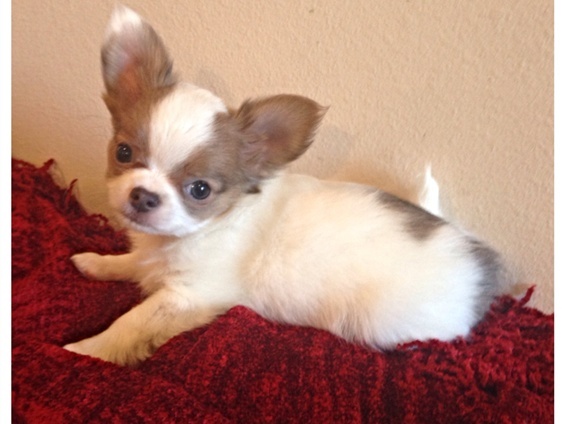 So came our first chihuahua and the discovery of the LONG HAIRED chihuahua. I didn't even know there was such a thing! I fell IN LOVE!!! I like dogs that have hair to pet and to top it off, the long haired chihuahua didn't have to be groomed like my poodles did. This was a major plus! Our first chihuahua quickly became my baby and did everything with me, so my daughter begged for another one to make her own. As easy as the first was to care for, we said yes and got another! I have 3 children, so with this pattern we ended up with 4 chihuahuas running around the house. 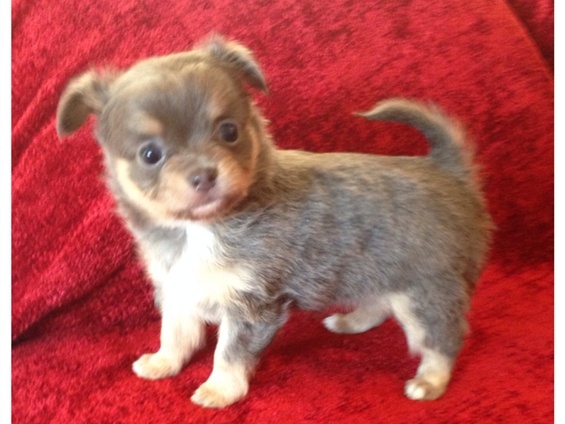 After awhile we decided to start breeding again but this time long haired CHIHUAHUAS. All our dogs are in our home with a select few running around as they please and the others in designated fenced areas. We have no cages here! All my dogs and puppies are pee pad or paper trained. The adult dogs go outside also to potty and to play. My puppies do not go outside until they have received all of their puppy vaccines and are at least 16wks old or their new owners take them out. My puppies are handled and kissed and played with on a daily basis. I LOVE the little ones!!! My adult dogs receive a treat EVERYTIME they come in from going potty outside and special big bone treats at least once a month. They all have soft doggie beds and toys to play with. These dogs and puppies are spoiled! I promise you will get a happy, healthy, well taken care of baby from my house! I guarantee it! Please take a look at my available puppies. I have them listed separately under their mom's name. I accept deposits on puppies to hold until they are 8 weeks old or longer if needed with payment plan. I accept Cash, PayPal, Walmart money transfers, and Postal Money orders as forms of payment only. I sell to the first person to pay a deposit and return the purchaser agreement, We won't always have puppies available, but when we do, I will post them the day they are born, so keep an eye on my website for updates. Thanks! $100 discount for each additional puppy after the first one you buy from me.